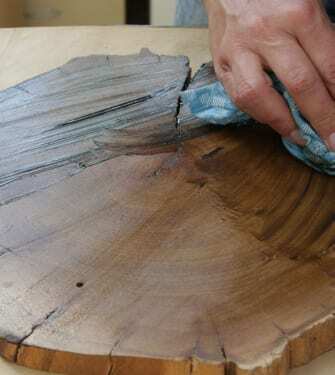 Use an old rag to apply stain to the wooden board or disc. 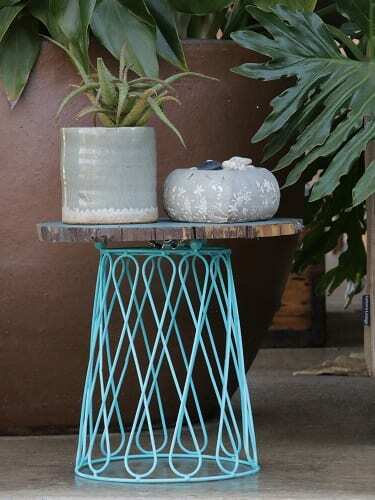 Spray the wire basket in a colour of your choice. 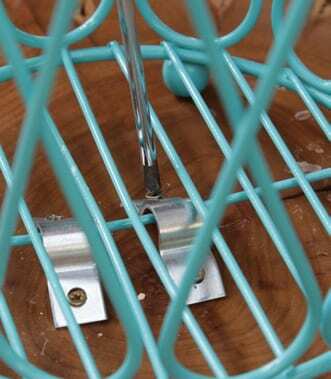 Secure the bottom of the wire basket to the wooden board using the brackets and screws. 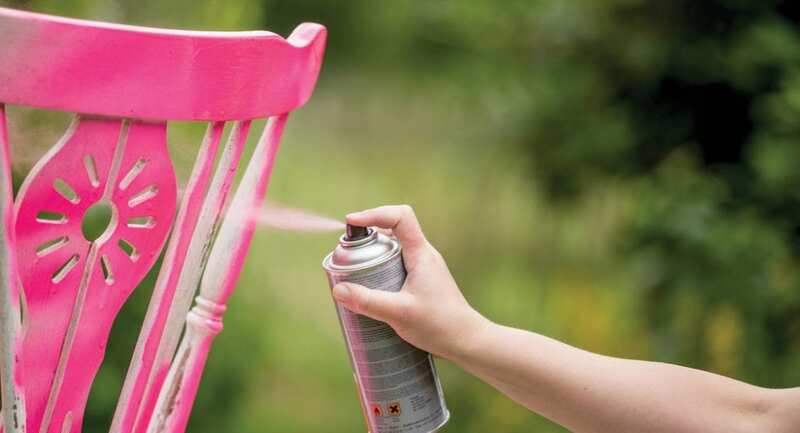 Make sure you spray in a well ventilated area. Hold the can 30cm away from the object and follow the lines of the object in steady, fluid motions. 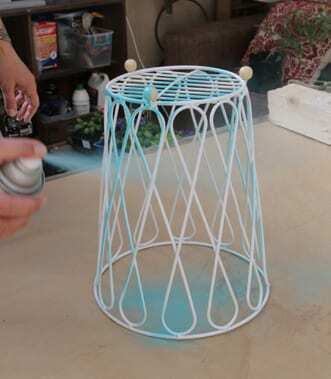 There are some spray-paints that have a built-in primer, which makes the job of painting that much easier and quicker. 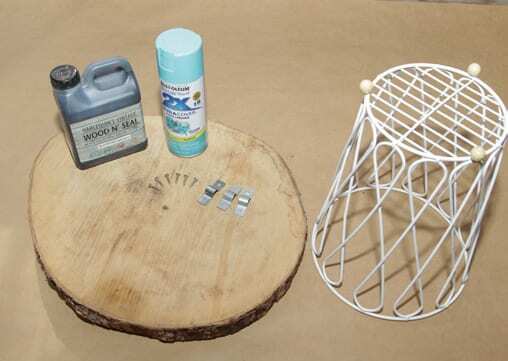 If using a normal spray-paint, first spray a coat of metal primer.